The third edition of the Business Today MindRush was a mesmerising mix of awards, insightful talks by super CEOs, master classes by management gurus, and much, much more. The third Business Today MindRush - held on December 18 and 19 at Taj Palace hotel in New Delhi - got off to a flying start with a debate on 'Professionals and the Family Business'. The panellists included two professional CEOs - K.B.S. Anand, MD & CEO, Asian Paints; and Sunil Duggal, CEO, Dabur India. 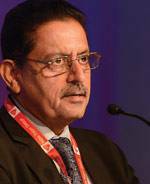 The 'family' side was represented by Jayadev Galla, Vice Chairman & MD of Amara Raja Group. The panellists concluded that in family-owned businesses, professionals need to be made partners in creating wealth for the organisation. Earlier, welcoming delegates to the conclave, Prosenjit Datta, Editor, Business Today, highlighted the challenging business environment and said that technology and start-ups are redefining businesses. He said that though the government has taken steps to kick-start the economy, there are concerns on many fronts. I believe the single most important factor for a successful CEO is the culture he promotes. 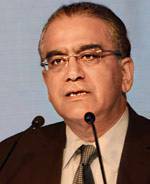 Aroon Purie, Chairman and Editor-in-Chief, India Today Group, said the theme for BT MindRush - Leading in the Time of Great Change - is very apt "because VUCA (volatility, uncertainty, complexity and ambiguity) is the new normal that companies and leaders have to deal with, especially in an age of rapid technological change". Purie added that despite the clear majority the current government enjoys, as well as its desire to kick-start growth, some important reforms are stuck in Parliament. And while there is some improvement in the ease of doing business, there are areas where enough progress is yet to be made. The government is focusing on agriculture, start-ups, bankruptcy laws and ease of doing business. 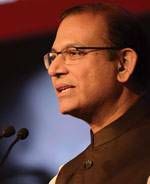 The chief guest for the evening, Minister of State for Finance Jayant Sinha, said that the major areas that the government is focusing on are agriculture, start-ups, bankruptcy laws and ease of doing business. Dismissing the perception that there has been no substantial work done on the ground, Sinha pointed out that exemplary work has been done by the government in developing infrastructure, overhauling the financial sector and taxation. A CEO should be a visionary, and put the organisation on the growth path in hard times. 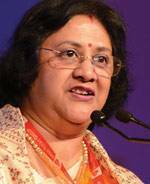 In her address, Arundhati Bhattacharya, Chairman, SBI, said: "A CEO should be a visionary, and have the ability to take decisions and have effective communication skills to put their organisations on the growth path in times of difficulty." In the next 4-5 years, banking, retail, brokerage, etc. will feel the ripple effects of 4G. Himanshu Kapania, MD of Idea Cellular, while speaking on 4G, said: "India is on the cusp of a digital revolution; in three to five years, industries such as banking, retail, brokerage, etc. will feel the ripple effects of disruption." One of the main attractions of the first day was the BT Best CEOs awards. The winners included Siddhartha Lal of Eicher, Bhattacharya of SBI, Vineet Nayyar of Tech Mahindra and some others. The second day 'fittingly' started with a session by Milind Soman, who completed the "Ironman Triathlon" in Zurich, Switzerland, earlier this year. Soman, who at 50 epitomises youth and fitness, shared the secret of his healthy lifestyle with eager audiences. His suggestion to fitness freaks and those fighting ageing was to not only work on the body but also on the mind. Soman's session was followed by a masterclass by leadership development expert and executive coach Bill Hawkins. He presented some insights on the pitfalls of successful executives - they may be too optimistic for their own good and over-promise, for instance. In addition, he also pointed out a few habits that can hold you back from reaching the top, such as speaking when angry, withholding information, failing to give proper recognition, etc. Then came an engrossing discussion on Internet-based start-ups. Titled "Online and on fire: Catch them if you can", the discussion had Amit Jain, President, Uber India; Amarjit Singh Batra, CEO, OLX India; Sanjeev Agarwal, Senior Managing Director, Helion Advisors; Suchi Mukherjee, founder and CEO, Limeroad; and Radhika Agarwal, co-founder and Chief Business Officer, Shopclues.com, talking about the opportunities and challenges for online start-ups in India. While Soman's session was all about the health and well-being of the body and mind, the session after lunch focused on the health of the country's economy. It was addressed by the country's former finance minister P. Chidambaram, who is known for his straight talking. Not one to mince words, Chidambaram said that not everything is hunky-dory with the Indian economy as the government would like us to believe. He pointed out that the country's nominal GDP growth rate has come down to six per cent, something that only happened 50 years ago. According to Chidambaram, if nominal GDP continues to grow in the same fashion, it will have serious repercussions on the government's fiscal burden. He also talked about the fall in exports for the 12th consecutive month, and dismissed the government's claim that there has been an increase in public investment. He also said that there are few signs of stalled projects getting revived or private sector investments picking up. After Chidambaram's rather critical analysis of the country's economy, the audience was pepped up by the second Masterclass by renowned leadership and motivational expert Susan Fowler. Fowler busted the traditional thinking on motivation by saying that "incentivising people is no more relevant". According to her, the new norm is day-to-day motivation, where one's psychological needs are met, as opposed to one-time incentives. The third edition of Business Today MindRush concluded on December 19 with renowned author Ashwin Sanghi's insightful session on how the Arthasha- stra, the treatise on economy, politics and diplomacy by Chanakya - touted to be the "Pioneer Economist of India" - 2,300 years ago, is still relevant for today's businesses. In fact, he said, it is the foundation for global governance and businesses. The Business Today MindRush was presented by The WAVE Group, powered by Raymond, and had communication partner The HAVAS media Group, lifestyle partner Swarovski, and bespoke gift partner Hidesign. 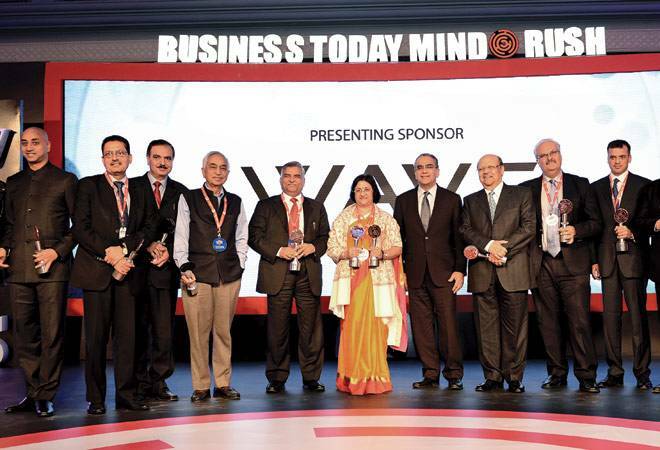 PwC India provided knowledge support to the Best CEO Awards.